Picture, if you will, a picturesque village called Little Shendon, suddenly caught up in dealing with a murder of one of its citizens - not a particularly well-liked one at that. Which makes it all the more intriguing because the list of suspects becomes very long. This tantalizing tale unfolds with delightful twists and turns to find out whodunit to Mr. Bartholomew Fynche, the murdered shopkeeper. Fear grips the community as the investigation slowly progresses. Everyone is interviewed; everyone is suspect! From the murdered man's housekeeper to Lady Armstrong, her staff and her nephew. Or could it be the shy librarian new in town? Or the defiant retired army major and his lady friend, the post mistress? Or perhaps the weird sisters who live on the edge of town? Then there is the couple who own the local inn and pub, along with the two Americans who are staying there? Even the vicar and his wife fall under the gloom of suspicion. Uncertainty, wariness, and terror reign as neighbors watch neighbors to discover the evil that permeates their upturned lives. No one feels safe in this charming little village. A.H. Richardson, noted author, places in your trembling hands a mystery murder that will keep you reading until you learn the details, uncovered by Police Inspector Stanley Burgess and his two amateur detectives, his friend Sir Victor Hazlitt and the famed Shakespearean actor Beresford Brandon. Scratch your head with them over the strange clues that turn up. Follow them as they tread carefully among the landmines that appear innocent as they lie hidden beneath the surface of mystery. Something evil skulks in this tiny country village. Who is the murderer? And why was this strange uncivil man dispatched in such a seemingly civil community? You are challenged to discover the culprit before the last few pages. And no fair looking ahead - it's the journey that proves the most enticing. BARTHOLOMEW FYNCHE LEANED OVER HIS DESK, adjusted his pince-nez and peered down at the document on his desk. He gave a series of grunts, which culminated in a long "Hmmm". He glanced at the French Ormolu clock on the wall before consulting his watch, and pursed his lips together in annoyance. He didn't like people who were not punctual. Time was money, and his time was particularly precious. The retired Mr. B. Fynche had been involved in a number of most interesting exploits in his life, not the least of which involved his extraordinary knowledge of rare documents, famous objets d'art, and rare paintings. It was rumored that he had been involved with MI5 just after the war, but no one was quite certain about this. Nowadays he puttered fairly contentedly in his antique shop, which he had named The Bygone Era. At first glance, Fynche's little shop seemed to be an untidy mass of bric-a- brac, consisting of small statues, framed documents, interesting looking things in glass cases, paintings of all descriptions, prints, watches, chains and… much much more. Mr. Fynche however, knew exactly where everything was, referring to it on occasion as organized clutter. A knock on the door interrupted his reverie and Fynche's eyes again darted up to the clock. He frowned, realizing that the knock was coming from the back door, which was rarely used. Thoroughly disgruntled, the old man unlatched the door. "Come in," he said curtly, "and see that you close the door behind you." He paused, then growled in a surly manner, "You're late; we need to talk." "I'm sorry. There was some work left to do," answered the other. A breeze blew through the open window behind Fynche's desk. "Close the window, please. That wretched cleaning woman always leaves the window open, and it blows my papers all around." "Very well." His visitor closed the window obediently. "Come around to the front, where I can see you. Something quite interesting has come up and we need to talk. Clearly, decisions have to be made here. Did you hear me…?" Fynche made a half-turn, threw up his hands defensively, and gave a smothered cry, but it was too late. The broad brass base of an Edwardian candle holder was wielded aloft and came crashing down with a sickening thud into Mr. Fynche's skull. Blood flew everywhere, seeping into the dark wood of the desk and into some papers and puddling on to the floor. Mr. Bartholomew Fynche, open-mouthed and eyes glazed, his hands futilely clutching at the air, slumped over the side of his chair and onto the floor…very very dead. The visitor spent a moment or two looking around the cluttered shop, hunting for something, but then thought better of it. With a sudden gesture, the visitor pried a large gold ring from Mr. Fynche's finger, hastily made the decision to leave and, used The Bygone Era's back door as the avenue of escape. The door was closed quietly, and the visitor slipped out noiselessly into the anonymity of the bustling throng of last-minute shoppers in the High Street. It was a bright sunny day in late spring. 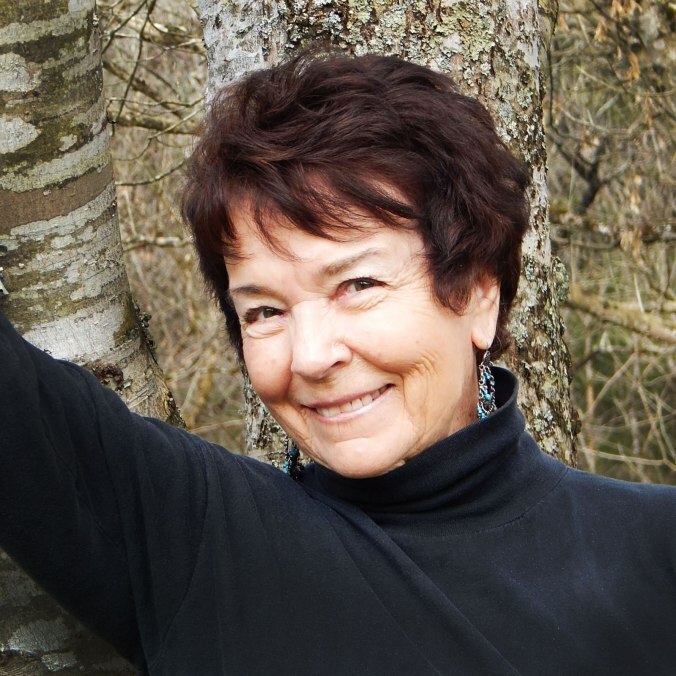 She published her debut novel Jorie and the Magic Stones in December 2014. 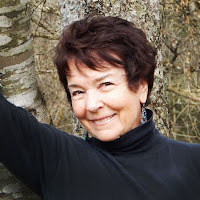 At the request of those who loved the first 'Jorie' story, Richardson has written a sequel titled Jorie and the Gold Key, and she is currently working on the third book in the series. In addition to children's books, she also enjoys writing murder mysteries. She is the author of Murder in Little Shendon, a thriller murder mystery which takes place in a quaint little village in England after World War Two, and introduces two sleuths, Sir Victor Hazlitt and his sidekick, Beresford Brandon, a noted Shakespearian actor. And she has more 'who-dun-its' with this clever and interesting duo… Act One, Scene One – Murder and Murder at Serenity Farm. A. H. Richardson lives happily in East Tennessee, her adopted state, and has three sons, three grandchildren, and two pugs. She speaks four languages and loves to do voice overs. She plans on writing many more books and hopes to delight her readers further with her British twist, which all her books have. 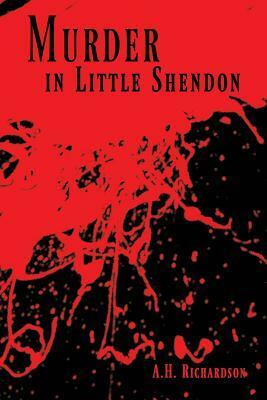 Enter to win a print copy of Murder in Little Shendon by A.H. Richardson, giveaway courtesy of Book Publicity Services. This giveaway is open internationally. The winner will be announced on Friday, July 21, 2017. Please use the form below to enter.